For 2017, the Sam F. Davis Stakes (Grade 3) at Tampa Bay Downs has regained a place on the list of 35 point-scoring races for starting berths in the Kentucky Derby. Churchill Downs announced that change on Monday, making the Sam F. Davis a Kentucky Derby qualifying race for the first time since 2013. The 38th running of the Sam F. Davis, at 1 1/16 miles for three-year-olds, will be on Feb. 11. It is expected that the purse will again be $250,000. Since 2013, Churchill Downs has used a sliding scale of points awarded to the top four finishers in designated races to determine preference for its 20-horse Kentucky Derby (Grade 1) field. 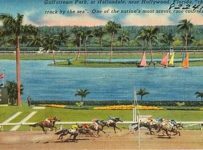 The 143rd running of that race will be on Saturday, May 6, 2017. For several years prior to 2013, earnings in graded stakes determined which horses made the Kentucky Derby field. 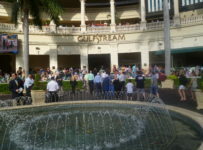 The Tampa Bay Derby (Grade 2), to be run March 11, is on the qualifying race list for the fifth time in the current system’s five-year-history. The Sam F. Davis was a Kentucky Derby qualifying race in 2013—but not in 2014, 2015 or 2016. Officials of Churchill Downs Inc. (CDI) have not provided a reason for dropping the Sam F. Davis from the qualifying list. 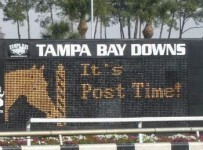 Officials of Tampa Bay Downs have declined to comment on the issue. 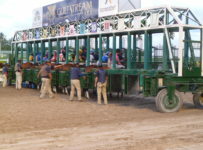 It is widely believed that CDI took the Sam F. Davis off the qualifying races list because of a dispute (since resolved) between Calder Casino & Race Course, a CDI subsidiary, and Tampa Bay Downs over simulcasting issues. The Sam F. Davis will be among the first round of Kentucky Derby qualifying races. The winner will receive ten qualifying points. The second, third and fourth place finishers will receive points of four, two and one respectively. 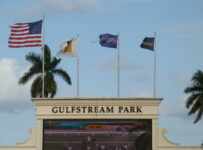 The Holy Bull (Grade 2), at 1 1/16 miles at Gulfstream Park on Feb. 4, also is a first round Kentucky Derby qualifying race with the same points structure. In the second round, the points awarded are 50, 20, 10 and 5 for first through fourth place respectively. 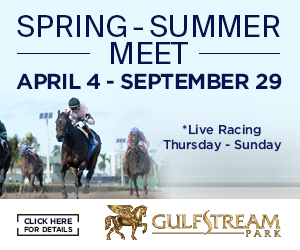 The Tampa Bay Derby and the Fountain of Youth (Grade 2), at 1 1/16 miles at Gulfstream on March 4, are second round qualifying races. 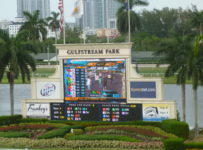 The 1 1/8 mile Florida Derby (Grade 1), at Gulfstream on April 1, is a final round qualifying race. The points awarded for first through fourth place are 100, 40, 20 and 10. 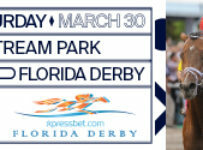 In announcing that the Sam F. Davis will replace the Grey as a Kentucky Derby qualifying race, Churchill Downs noted that the Sam F. Davis “serves as a steppingstone” for the Tampa Bay Derby. Churchill Downs also noted that the Grey, a 1 1/16-mile race over Woodbine’s synthetic surface in early October, had six or fewer starters in three of its last four runnings. For the years when it was not a Kentucky Derby qualifying race, the Sam F. Davis had eight starters in 2014, 12 starters in 2015 and six starters in 2016. The Sam F. Davis remained attractive for numerous trainers because of its purse money and graded status. 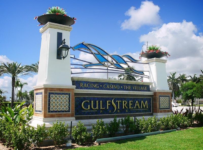 The fields have remained comprised mostly of horses that are stabled at Tampa Bay Downs and horses that are stabled at Gulfstream Park and other locations in South Florida. 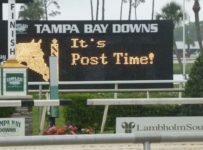 Todd Pletcher is prominent among trainers who frequently van horses from South Florida (in his case Palm Beach Downs) to race in the Sam F. Davis and other stakes at Tampa Bay Downs. Only two horses that ran in the last three renewals of the Sam F. Davis have gone on to run in the Kentucky Derby. They were Vinceremos in 2014 and Destin in 2016—both trained by Pletcher. Between 2014 and 2016, six other horses that ran in the Sam F. Davis and/or Tampa Bay Derby later ran in one or more Triple Crown races. They are: Ring Weekend, Carpe Diem, Danzig Moon, Divining Rod, Outwork and Brody’s Cause. *2014 –After winning the Sam F. Davis, Vinceremos finished second to Ring Weekend in the Tampa Bay Derby. 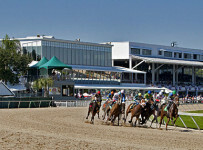 The Tampa Bay Derby points earned Vinceremos a spot in the Kentucky Derby, where he finished 17th. Ring Weekend did not run in the Kentucky Derby, but later finished fifth in the Preakness (Grade 1). *2015 – Ocean Knight won the Sam F, Davis and later finished seventh in the Tampa Bay Derby. He did not run in any Triple Crown races. Divining Rod finished second in the Sam F. Davis and later came in third in the Tampa Bay Derby, won the Lexington (Grade 3) at Keeneland and finished third in the Preakness. Carpe Diem, trained by Pletcher, won the Tampa Bay Derby and followed with a victory in the Bluegrass (Grade 1) at Keeneland. 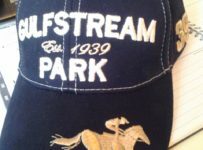 He finished tenth in the Kentucky Derby, and has not raced since then. Danzig Moon came in fourth in the Tampa Bay Derby. He later finished second in the Bluegrass, fifth in the Kentucky Derby and sixth in the Preakness. 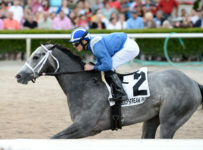 *2016 – Destin won the Sam F. Davis and won the Tampa Bay Derby. He then finished sixth in the Kentucky Derby and finished second by a nose to Creator in the Belmont (Grade 1). 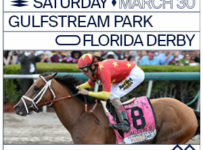 Outwork, trained by Pletcher, came in second in the Florida Derby and 17th in the Kentucky Derby. Brody’s Cause finished seventh in the Tampa Bay Derby. He later won the Bluegrass, assuring a spot in the Kentucky Derby, where he finished seventh. He finished sixth in the Belmont.